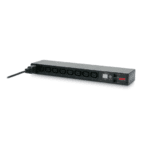 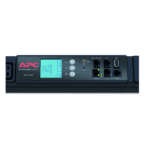 The APC Rack Automatic Transfer Switch (ATS) is a high-availability switch that provides redundant power to connected equipment and has two input power cords, one for each AC line. 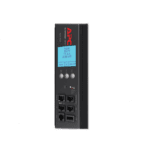 The Rack ATS supplies power to the connected load from a primary AC source. If that primary source becomes unavailable, the Rack ATS automatically begins sourcing power from the secondary source. 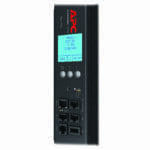 The transfer time from one source to the other is seamless to the connected equipment, as the switching occurs safely between the two input sources regardless of any phase differences. 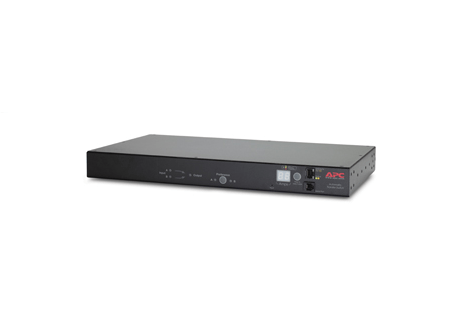 The units have built-in network connectivity, which allows for remote management through the Web, SNMP, or Telnet interfaces.